In the post-paper world, digital note-taking happens on smartphones. 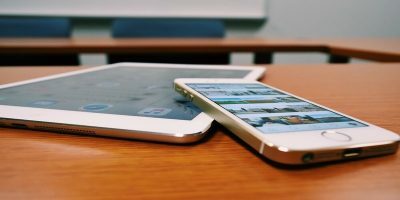 If you’ve resolved to get more organized in 2018, check out six of the best note-taking apps for iOS that you can use to get there. Notes has improved dramatically in iOS 11. This is especially true if you have an iPad Pro with Pencil. The range of drawing input is extraordinary. 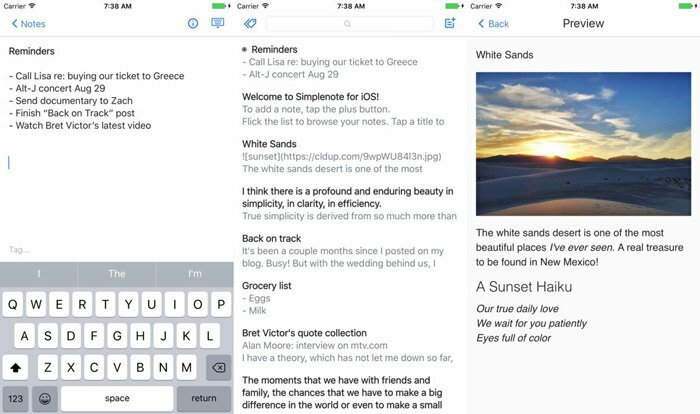 But even without the drawing features, Notes is a capable note-taking application. The app is responsive and includes a sufficient number of styling options. You can build lists, create checkable to-do lists and share notes with other contacts. Notes sync seamlessly over iCloud to any Apple device, though it’s not always instantaneous. Notes might not be a first-class note-taking app, but it’s perfectly adequate for infrequent note-taking. 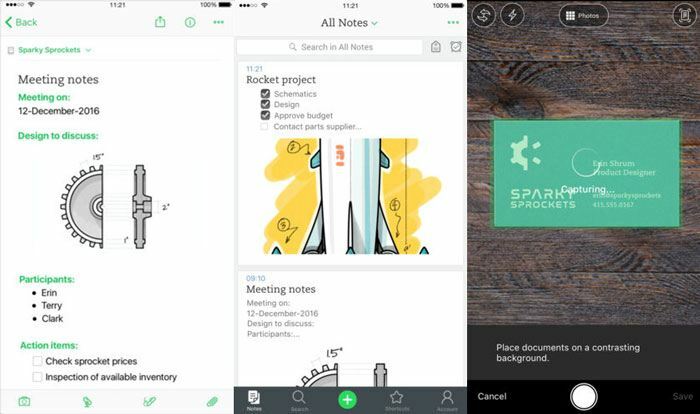 Ever since Bear‘s release, it’s been our go-to note-taking app. The interface is gorgeous, note creation is extremely fast, and filing by hashtags is intuitive and convenient. Content-sensitive styling makes notes attractive and improves their functionality, and you can even use the app as a writing environment. You can export notes (or even just copy and paste text) in a wide variety of formats, including Markdown. Web-friendly formatting means blog posts that you start in Bear transfer easily to your CMS. 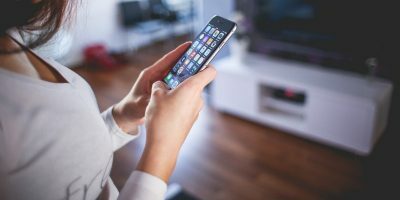 The major downside is that syncing between devices is a subscription-only feature: if you’re not willing to pay $1.50 per month, the app is one-device only. Just like it says on the tin, Simplenote is all about creating basic notes. The app is built for speed and efficiency. The service’s big draw is universal sync. There are Simplenote applications for just about any platform. If you can’t get the app, Simplenote’s web app is just as useful and robust as the native version. Search is also extraordinary and note sharing and publication is possible. 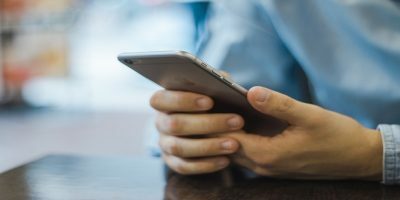 A lack of multimedia support speeds the app up dramatically, with virtually zero time between opening the app and jotting a note. When you can’t wait a second to get your idea down, that’s key. The simple note structure can also be easily transported to a new environment, either when leaving the service or archiving your notes. 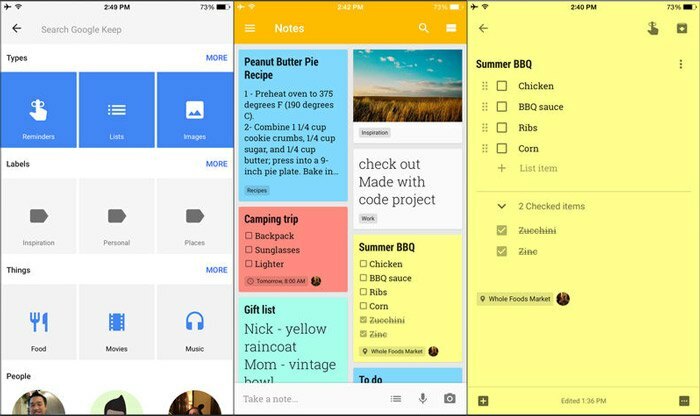 Google Keep is a powerful note-taking and media-collection platform for the scrapbook maker in your heart. Collect images, videos, files, notes and anything else from around the Web and save them in Google Keep. The card-based interface is easy to navigate and intuitive and feeds into Google’s other services. 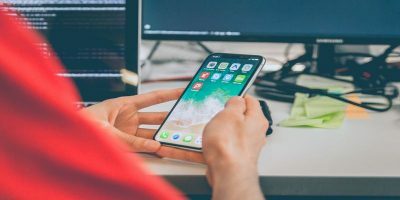 However, organizational options beyond labels and smart organization would be useful, and a recent loss of a number of features is disappointing. More importantly, the app hasn’t seen a major mention from Google recently. Considering how fond the tech giant is of killing off older applications, who knows when Google will suddenly pull the plug on Keep. While Keep has been around for ages, Google Reader was just as venerable when it met the headsman’s axe. Zoho’s Notebook app uses a multimedia card-based approach (like Google Keep) to create attractive note mosaics. It’s a real Evernote challenger, too, with a web-clipping extension for Firefox, Chrome and Safari. 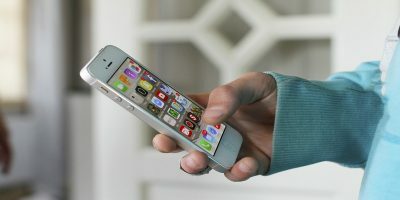 The iOS app is robust, with a well-thought-out interface and gesture-based workflow. In addition to text and checklists, you can capture audio, photos, drawings and files to your notebook. 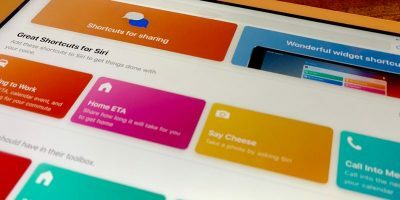 Furthermore, the first minute of every audio note is transcribed using Apple’s own text-recognition algorithm, the only note-taking app we’ve seen with this feature. 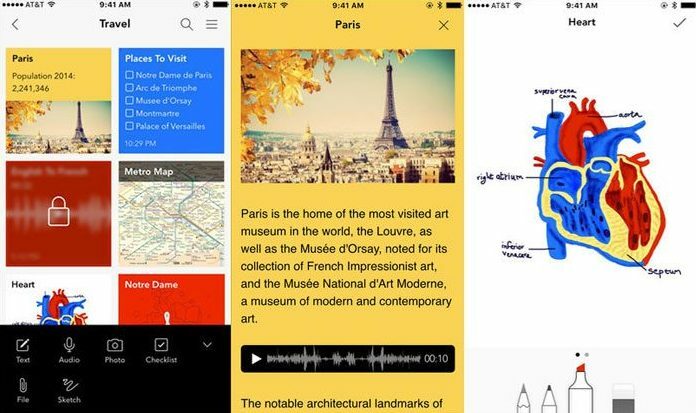 It’s our go-to note-taking app for trips and creative projects. We can’t talk about note-taking apps on iOS without mentioning Evernote. 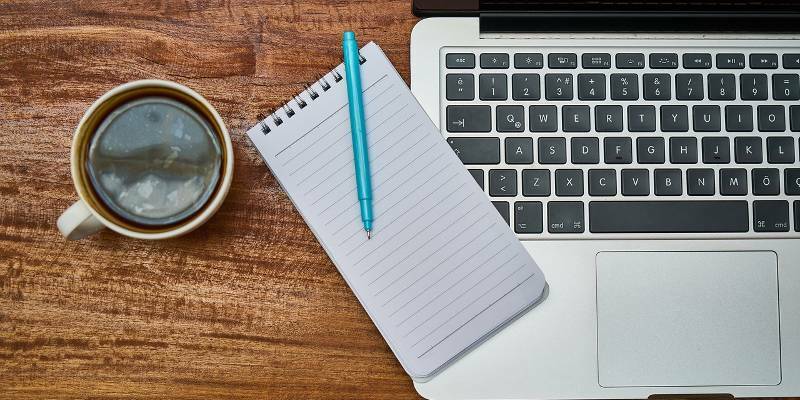 This app has been the grand-daddy of digital note-taking apps for years, with support for heavy organization and a broad range of multimedia content. Evernote is like your attic, where all the things you might need one day live. Evernote is extremely powerful as a desktop app, with an awesome web clipper that can ingest content from anywhere on the web. 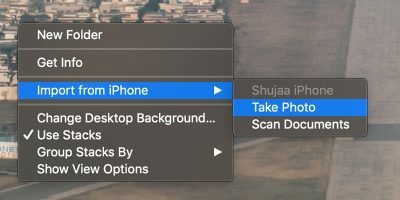 The app includes killer productivity features like a built-in document scanner with optical character recognition to search your scans. But even so, Evernote’s iOS app is slow and laggy, despite a recent makeover. If you’re not already committed to Evernote, you might want to take a thorough test run before committing. If you want multimedia notes, Zoho’s Notebook is the best note-taking app for iOS in 2018. If simplicity is more of a blessing than a curse, Simplenote keeps distractions at a minimum. 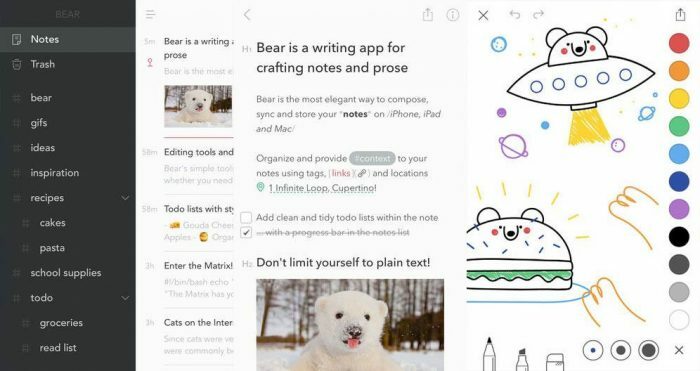 Bear is the note-taking app for web writers. Evernote’s sprawl is helpful for researchers, students and corporate types. For sporadic grocery lists and notes to self, Apple’s own Notes app is plenty sufficient. And if you’re a Google devotee, Keep has many features of Zoho’s Notebook, despite a recent feature downgrade. I can suggest one more tool here to manage both task and time, i.e, ProofHub. It is a all-in one tool to plan, organize, collaborate, deliver your projects and tasks on time. Have a look. It also offers 30 days free trial and also a demo to understand working of tool.